Enhancing your jogging experience with upgraded safeguard system. 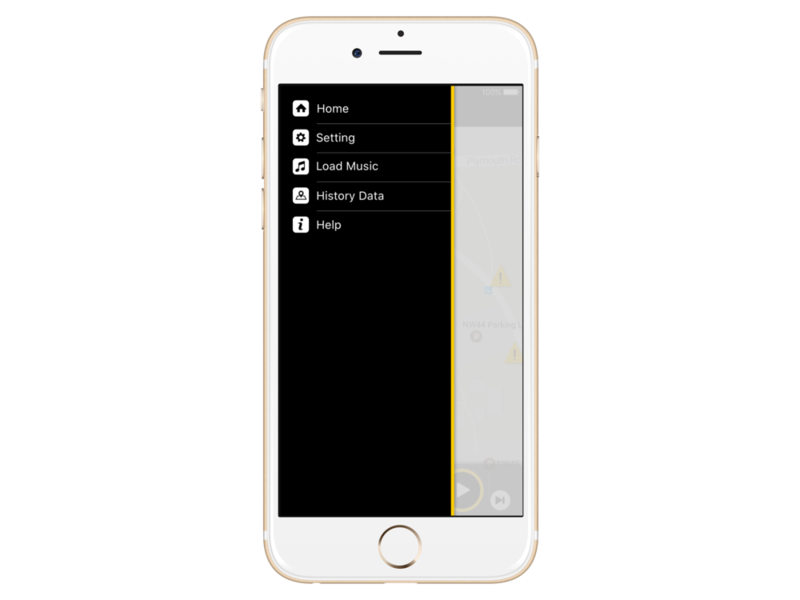 Research, define, design, and prototype a mobile app that helps users who like listening to music while running automatically adjust their music volume according to the surroundings, historical data, and crowd sourcing data to keep outdoor running safe. Brainstorming ideas, User Interview, Survey, Usability Testing, Process book. I was responsible for translating Chinese written materials in the research and design process into English. We found supportive literatures from current research stating the emergent needs of Soundo. After interviewing 3 users and conducting 56 surveys, we developed empathy with users by becoming more familiar with the problems they encountered while running. By analyzing the data from our user interviews and surveys, we drew valuable insights on users’ overall jogging experience and users’ needs. 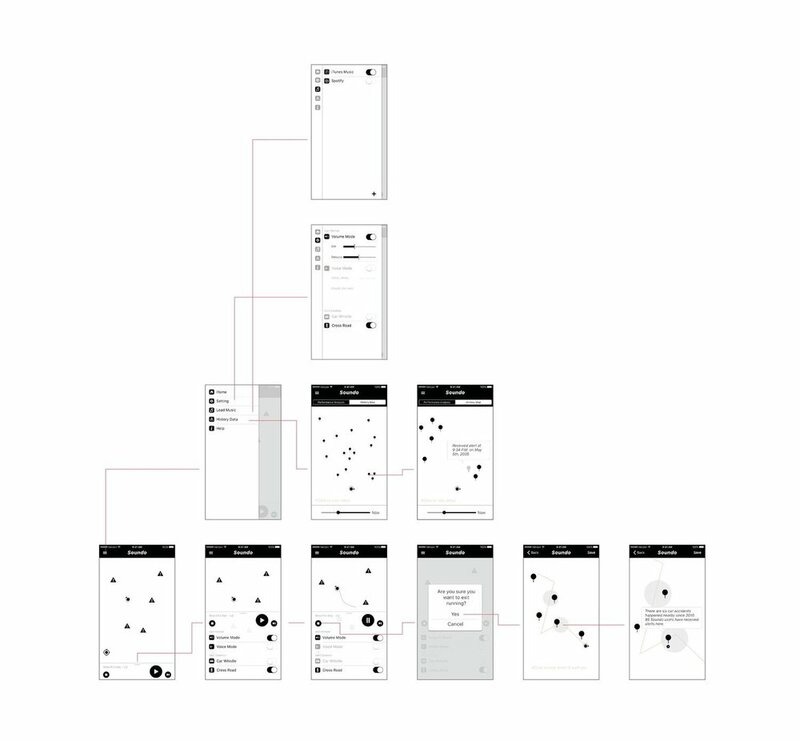 We built a persona and a user journey map to reflect our insights. 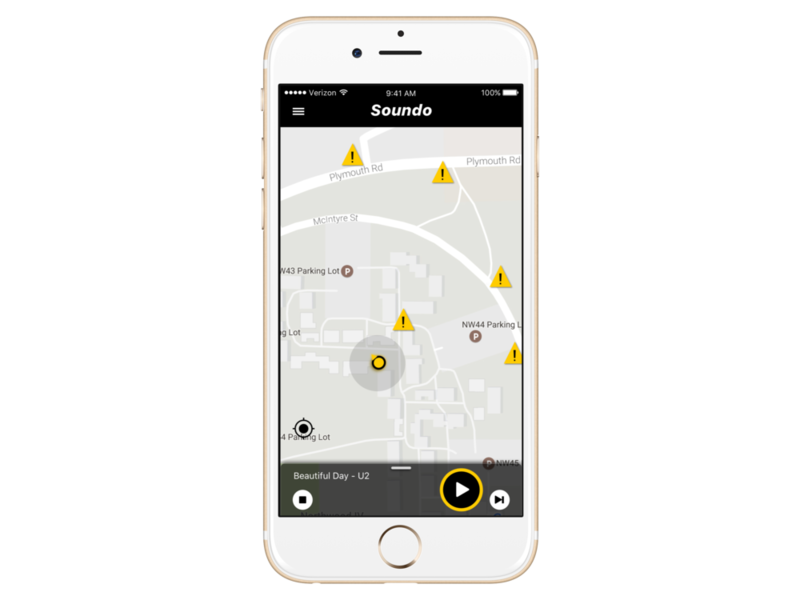 We analyzed 4 competitors that utilize sound detection technology to detect surrounding nosies and voices. We decided to apply them onto Soundo. We also envision to incorporate the machine learning technology for sound classification to implement these features. 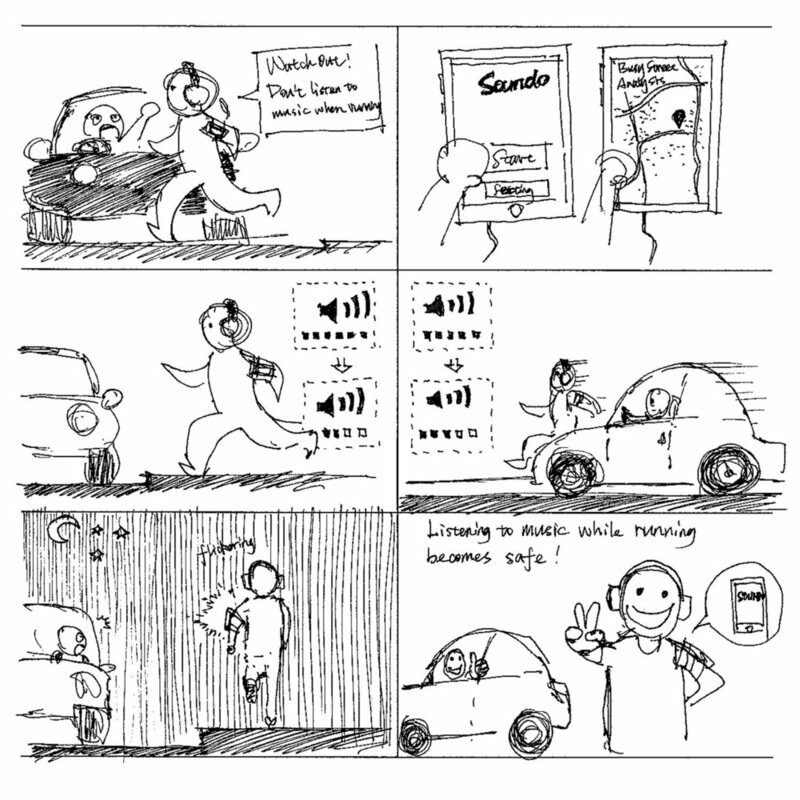 People have difficulties detecting surroundings when they are running with their headphones on, which gives rise to accidents. Listening to music while running is a must to some joggers because it helps them perform better. Users prefer to customize how they receive the alert of dangers. Data analysis and data visualization serves preventing potential dangers to joggers by providing in-time traffic status and running routes details. 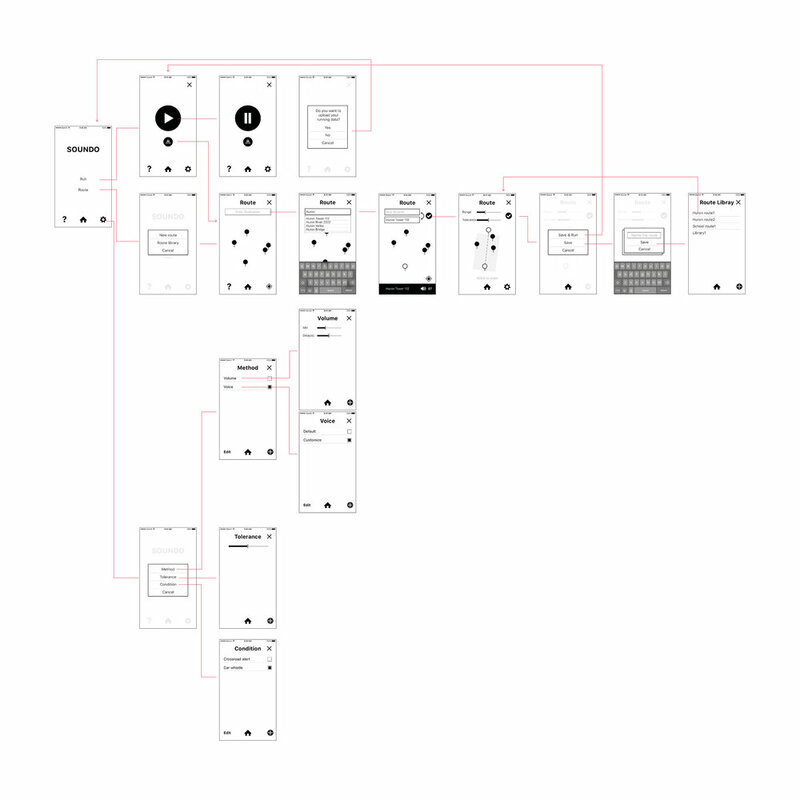 User storyboard that tells a story of how Soundo's essential functions working as a resolution to safeguard the user when he is running at night. The user is arriving at the intersection. 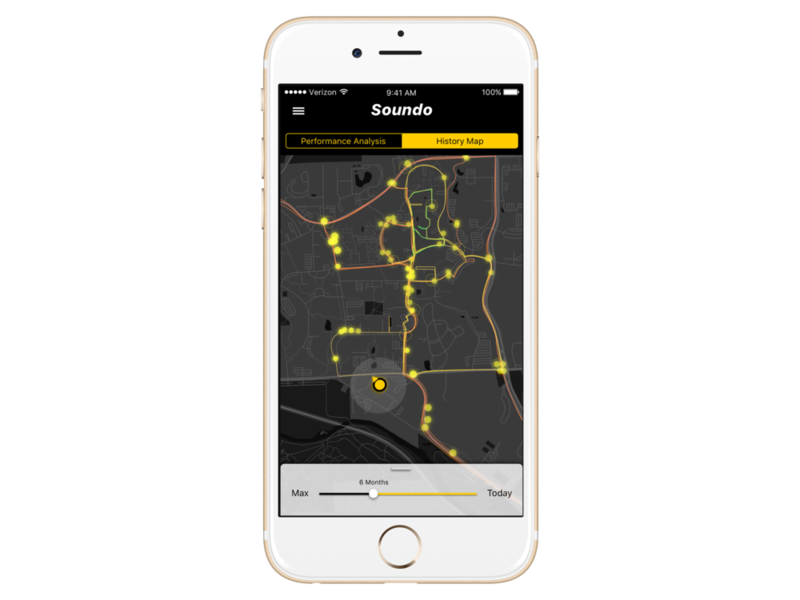 Soundo applies machine learning technology to analyze and classify sounds of surroundings based on their frequencies. 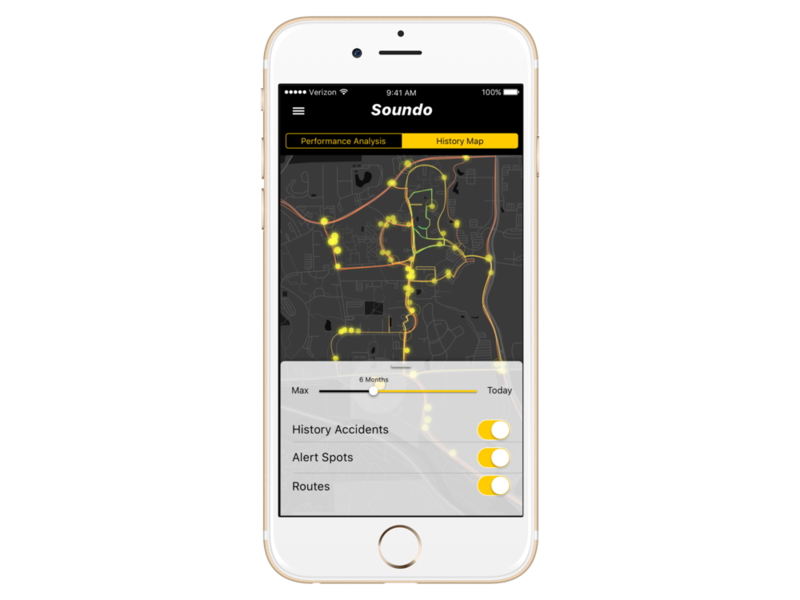 Review history data including alert frequencies, alert spots, and jogging routes log, to optimize future jogging experience in a safe way. We conducted 3 rounds of usability testing respectively with wireframe sketch, low fidelity prototype, and refined low fidelity prototype. 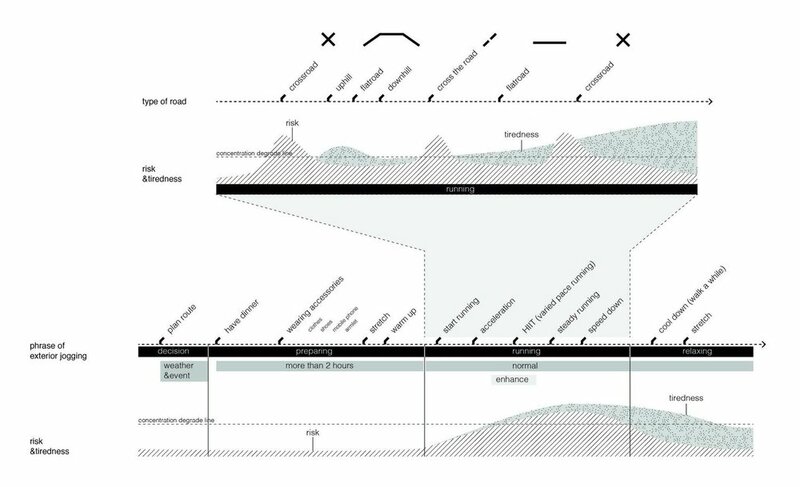 For each round, we draw insights from key findings, and take the insights to improve our design of Soundo. 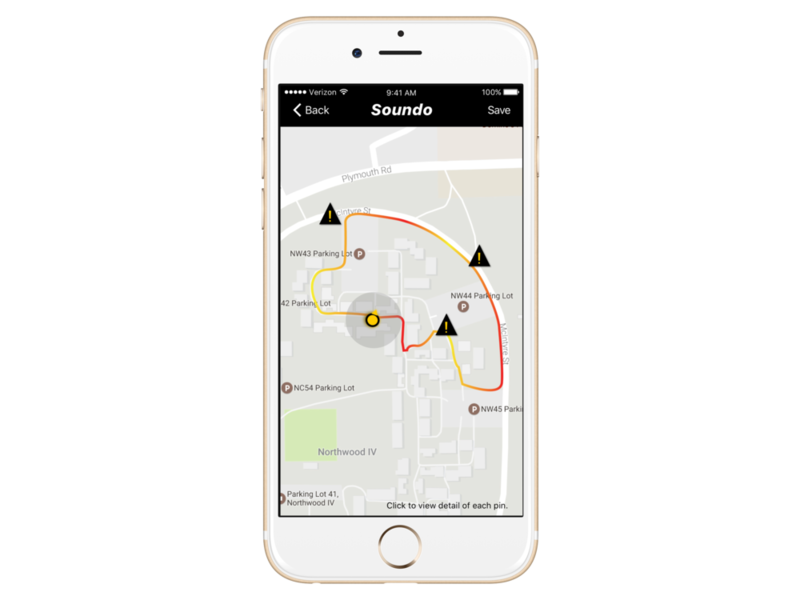 Based on the big data of Soundo's community and the historical data of the user, Soundo automatically recommends safe jogging routes that best fits the user’s preferences. 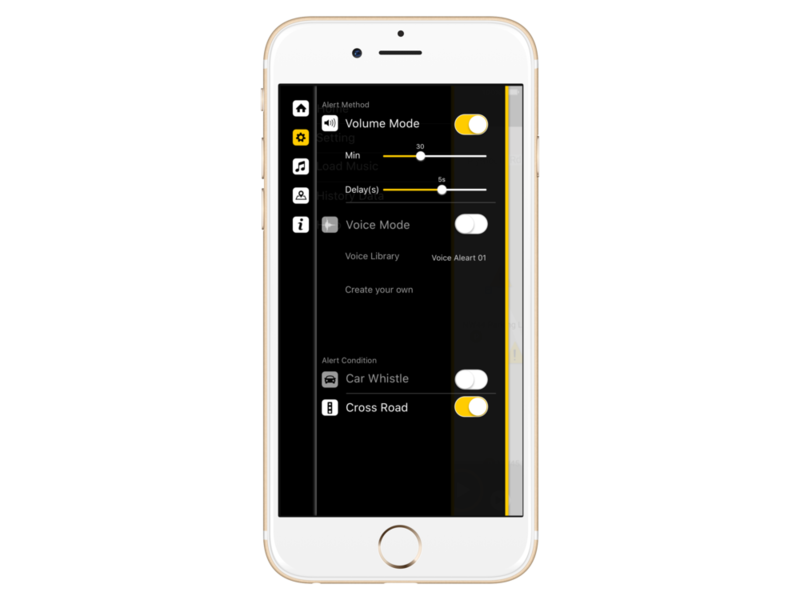 The user can set favorite alert mode by customizing settings in Soundo. 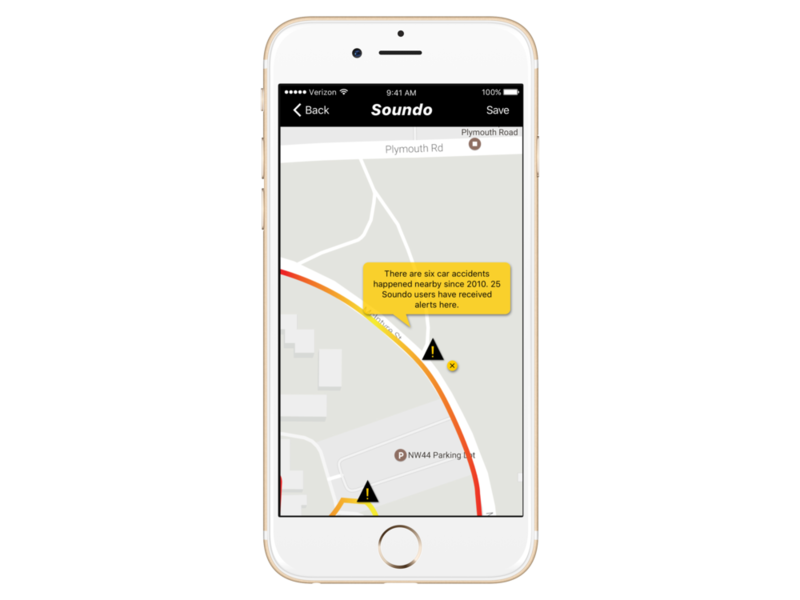 Thanks to Soundo's community, Soundo is able to predict the danger of the user’s unfamiliar area based on the data uploaded by other Soundo Users. 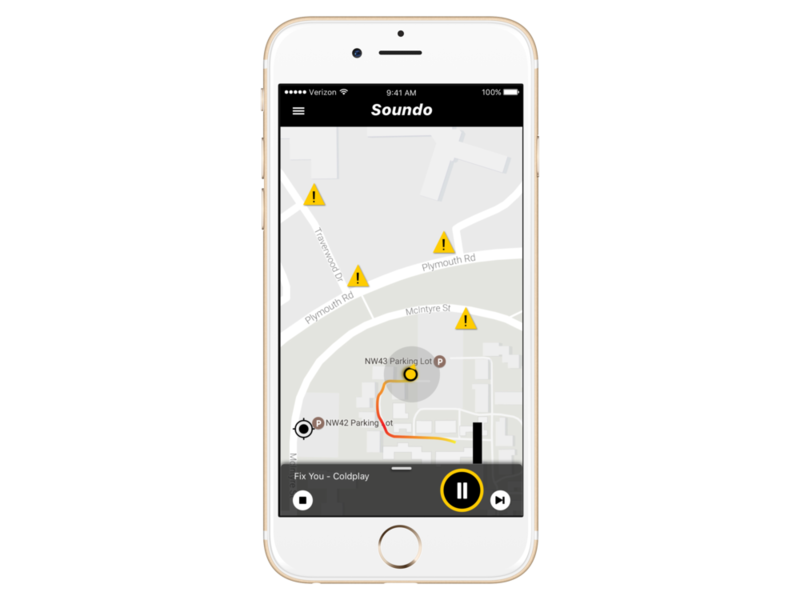 Users are satisfied with the main concept that the volume is automatically adjustable according to ambient sounds to alert users of dangerous surroundings. Users like the feature of customizing the alert methods. Users prefer to run alone for exercise. Users prefer to plan their routes by themselves. They only need route suggestions from Soundo based on their priori running experiences. Users do not think that the community will be useful because they only care about their own running experiences. We add dashboard feature for users to review previous running experiences. We decided to abandon Soundo Community as it seems a redundant feature from the users feedback. Users are confused by too many functions, which means that the functions need to be simplified. 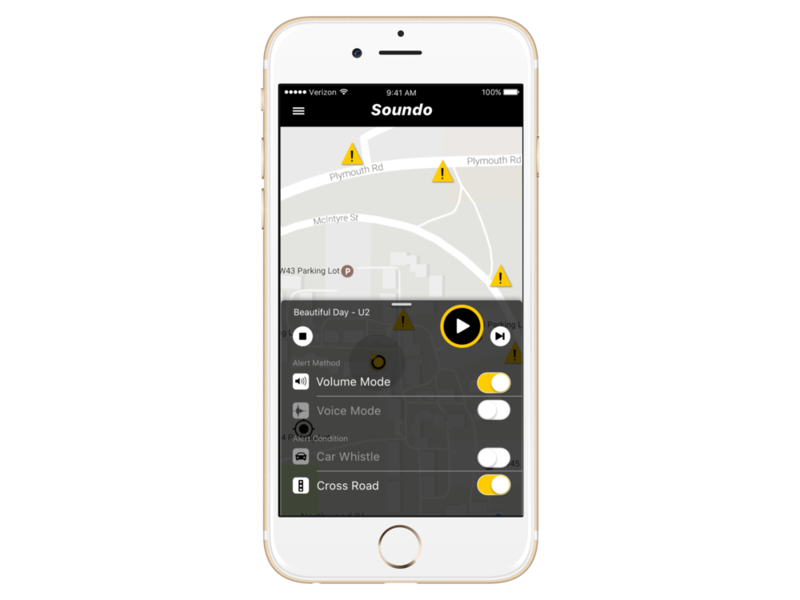 Users expect the volume control and the danger alerts to be essential functions of the Soundo. Functions are not well categorized. Participants found it hard to find the right button to interact. Participants are confused about the buttons on home screen because the button names are not well representing the corresponding functions. Participants were confused about the Pause/Resume button on play screen and the delay adjusting bar on volume screen because functions seem to repeat each other. We simplified the function types based on users feedback. We recategorized some essential functions. We modified the button names to better reflecting their functions. Participants would like to have a feature to review their jogging history. Participants prefer darker theme color to prevent harsh light at night hurting their vison. We could design a feature displaying users' jogging history. We could design a night mode UI for nighttime use. Homepage. Map with alert history available for view. Quick alert settings available at slide up. All settings available at the left upper corner. Customized alert types available under Setting. Load music from your favorite apps. Smart control of alert and music volume while jogging. Alerts and routes history available after Stop. Click one particular alert to view details. Review alert history under History Map. Choose historical data to review at slide up. Review jogging data under Performance Analysis.